Snagged this super cool original Uten.Silo at opening day of the LA Flea Market! I’d never seen one in person and this one was still in it’s original box with original mounting hardware. It wasn’t a very interesting box otherwise I would have taken a picture. 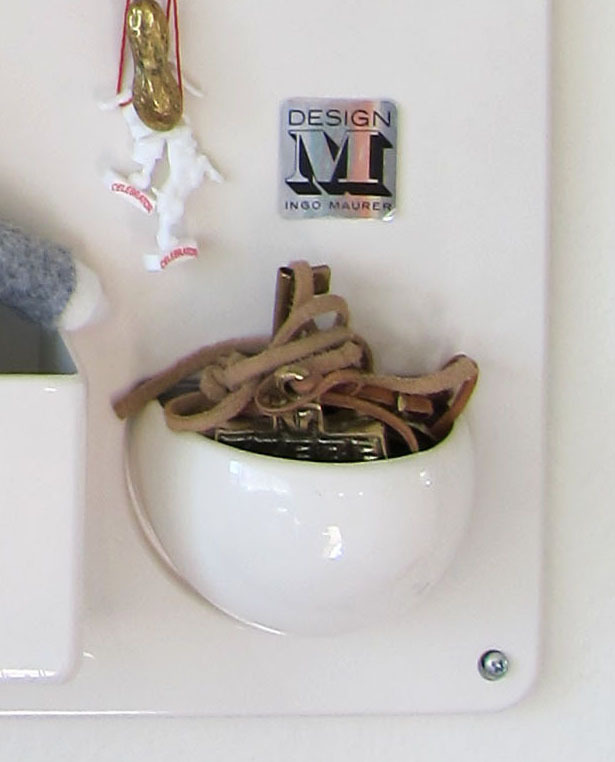 Even the silver “Design M, Ingo Maurer” label, was still attached in the lower right corner. I’d never heard Ingo Maurer’s name associated with this before, only Vitra but apparently they were the original manufacturers. It’s one of the most fun things do decorate with. I loaded it up with Walter Bosse and Auböck brass along with some Ikea paintbrushes, leftovers from the wedding and my Andy and Conan dolls. Vitra Design Museum produces both the original 1969 version of Uten.Silo and a smaller one dating from 1970. 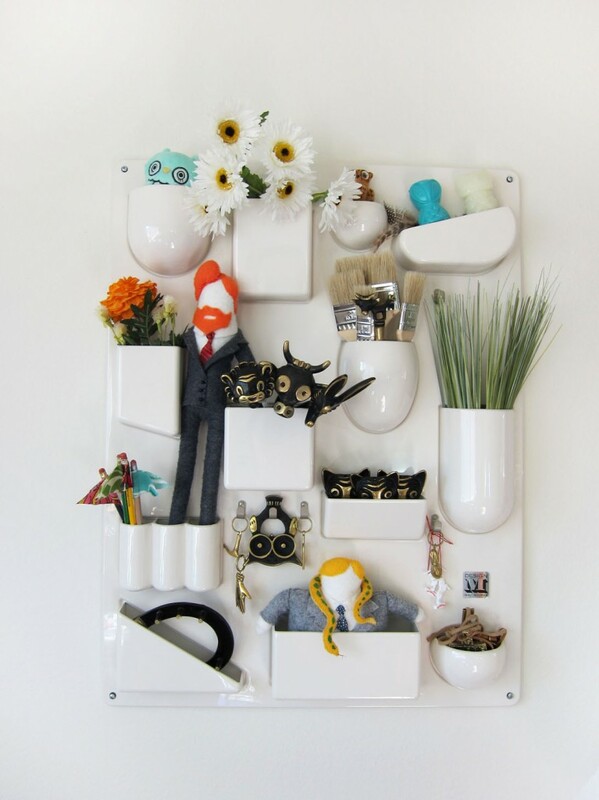 You can still by it from Vitra.